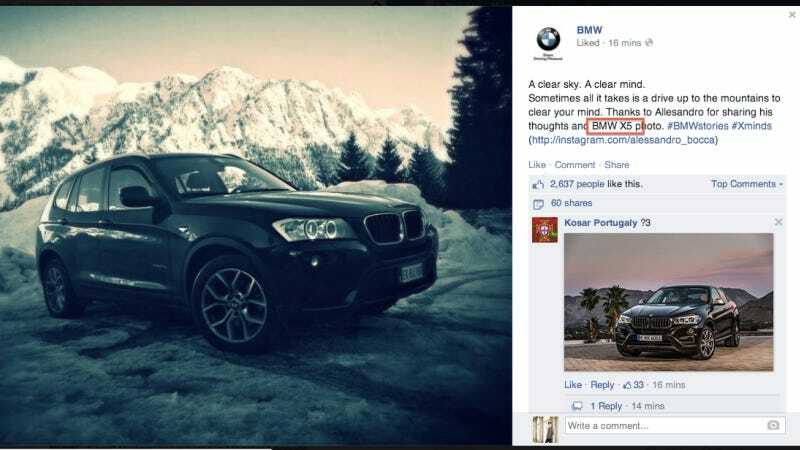 BMW just shared a rather nice photo of an X3 posing with some mountains on their Facebook page. Unfortunately they called it an X5. Oops. They have since fixed it, but reader Asphalt was quick on the screen-grab!